During WWII it was decided to "navalize" the B-24 Liberator that was originally designed for the U.S. Army Air Corp. Hence the PB4Y-2 was born. The Privateer featured a longer fuselage, a large single 32-foot tail (stabilizer), and turbo super-charged engines. With it's 2800-mile range, the Privateer was so useful that the Navy took delivery of 739 of them, but very few reached the front line by V-J day. The PB4Y-2 went on to preform their best work in the Cold War as a radar and electronics-counter measures platform. Following service with the U.S. Coast Guard, the aircraft were retired in the early 1960's. A small number were then used as fire-bombers in the U.S. until 2002. The two PB4Y's in our museum are privately owned. The Fairchild C-119 is also known as the "Flying Boxcar" because it can hold the same weight as a railroad boxcar. The C-119 evolved from the C-82 Packet built by Fairchild during WWII. The first C-119 prototype flew in 1947 and deliveries began in 1949 with a total of 1,184 aircraft being built. The C-119 saw extensive action in Korea and Vietnam for the US, and were used mainly for hauling cargo and troops. Many C-119s were provided to other nations as part of the Military Assistance Program, which included the Royal Canadian Air Force. After its retirement from active duty many C-119s soldiered on in the U.S. National Guard until the mid 1970s. The two C-119s in the museum were purchased by Hawkins and Powers in the 1970s. Hawkins and Powers used tanker 136, with the jet on top, for firefighting and the other C-119 was used for aerial spraying, movie making and cargo hauling. The two C-119s in the museum are on loan from the U.S. Forest Service. The P2V was a maritime Patrol and anti-submarine warfare aircraft. It was developed for the United States Navy by Lockheed. The concept for the Neptune began early in WWII but was considered a low priority compared to other aircraft. The first Neptune aircraft was accepted into military service in 1947. The Neptune was designed to be land-based and never made a carrier landing. The military retired the P2V in 1984. The P2V has been used by several civilian firefighting operators as an air tanker. In a effort to have more modern aircraft that have turbine engines for firefighting, the US Forest Service decided that 2017 would be the last year to have the P2V on contract. 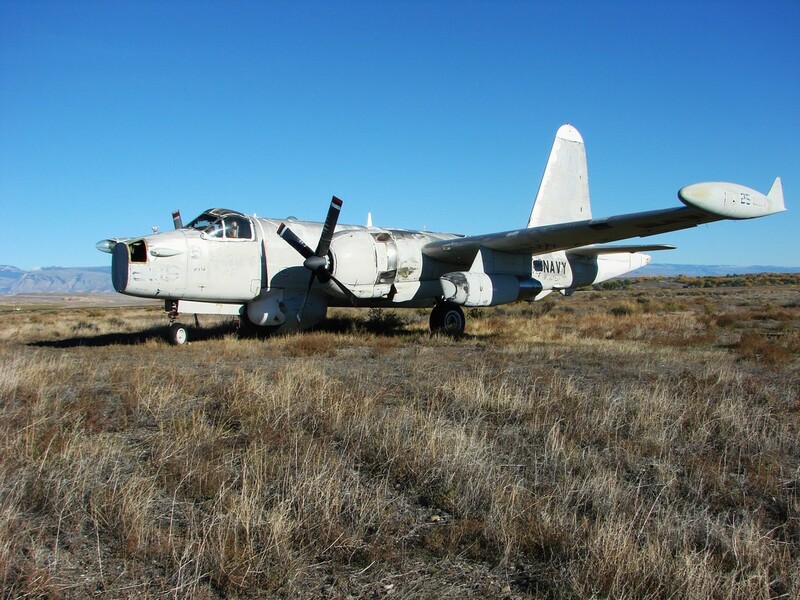 This P2V was donated to the Museum by Richard Camp of Lewes, Delaware and the "Save a Neptune" organization. The Museum can't thank Richard enough for his generous donation! ​The Beech 18 started life as an American transport plane for the civilian population in 1935. ​ In 1939 WWII interrupted the Beech's civilian life and it became a military aircraft. Beech built a total of 4,526 of these aircraft for the Army Air Force between 1939 and 1945 in multiple versions: The AT-7 "Navigator" navigation trainer, and the AT-11 "Kansan" bombing-gunnery trainer being two of the versions. After WWII Beech returned to the manufacturing of the civilian Model 18, it's uses being mail delivery, spraying, movie making, banner towing, etc. Later the U.S. Forest Service used them for smoke jumpers and cargo transport. The Twin Beech ceased production in 1969 after 30 years of an amazing run and 9,388 aircraft being built. There are still many Twin Beechs flown today all over the world. This Twin Beech is on loan from the U.S. Forest Service..